Figuring out where to celebrate Christmas in Asia isn’t much of a challenge; you’ll find Christmas decor and traditions stretched from communist Hanoi to the beaches of India. Despite religious differences, the Westernized version of Christmas -- along with many other traditions -- has been adopted and ingrained into local culture throughout much of Asia. While Christmas is just another day for some, missionaries and colonists introduced Christian holidays to many parts of Asia. No matter the reason for celebrating, the big shopping malls in Asia certainly love to capitalize on the Christmas holiday. How Is Christmas in Asia Celebrated? Outside of a few countries and regions, Christmas in Asia is mainly a secular event. Emphasis is placed on decorating, gifting, meals, and family; even Santa Claus makes lots of appearances. Many malls and businesses cash in on an opportunity to commercialize the holiday. Stores hold big sales and sometimes even special markets are set up. Couples use the holiday as an excuse for romantic gestures and gifting. In countries with a large Christian population such as the Philippines, Christmas is celebrated vigorously; preparations begin months in advance! You may want to read a little about gifts that are taboo in Asia before exchanging gifts with someone. Singapore: Out of all the countries in the world, Singapore boasts the highest number of foreign residents. It’s no surprise that these expats throw Christmas parties and do some seasonal decorating. Although Singapore is predominantly ethnic Chinese, Christmas is still celebrated widely, albeit in a more secular manner. Malls will be decorated and vivid lights adorn the length of Orchard Road. Christmas is also observed as a public holiday in neighboring Malaysia. The Philippines: More than 80% of Filipinos claim to be Roman Catholic, making the Philippines one of two predominantly Christian countries in Asia (East Timor is the other). Christmas is celebrated throughout the country, aside from regions such as Mindanao where Islam is the predominant faith. As for the rest of the country, a strong emphasis on religion can be seen during the Christmas holiday. You’ll even hear Christmas songs being played in October as the country gears up for one of its favorite holidays! Hong Kong: Until the handover to China in 1997, Hong Kong was occupied as a British colony since the 1800s. The Western influence is felt throughout, especially at Christmas. Large, public trees will be lit and many of the skyscrapers display Christmas light shows in efforts to outdo each other. Christmas is a public holiday in Hong Kong. 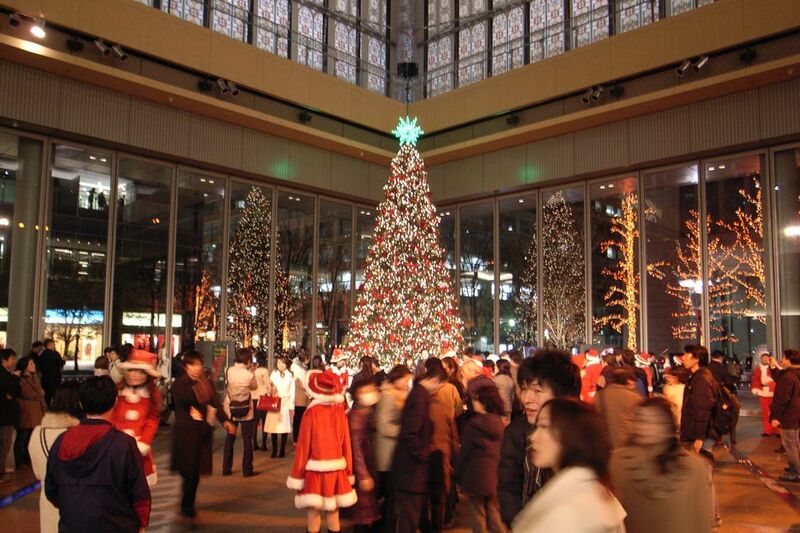 Although less than 1% of Japanese claim the be Christian, the Christmas holiday is still observed. Gift exchanges take place between couples and companies; corporate offices are sometimes decorated for the occasion. Parties with Christmas themes often lead up to the big Shogatsu New Year celebration. Adding to the excitement, the Emperor's Birthday is celebrated on December 23 in Japan. Hinduism and Islam are the primary religions in India, with only around 2% of the population claiming Christianity as a religion. But that doesn’t stop Goa -- India’s smallest state -- from putting on a big Christmas celebration every December. Banana trees are decorated, Christians head to midnight mass, and a Western-style meal is often enjoyed on Christmas Eve. Plenty of lively beach parties in Goa celebrate the event. Christmas is also celebrated enthusiastically by Christians in Kerala and other parts of India, where Christmas stars adorn many homes. Christianity is a major religion in South Korea, so Christmas Day is celebrated as a public holiday. Money is often given as a gift, cards are exchanged, and the bridges over the Han River in Seoul are lit with decorations. Santa Claus may even be wearing blue sometimes in South Korea!